The Crown withdrew the charge against Ryan Mark Daigneault, 42 for counselling to commit murder. 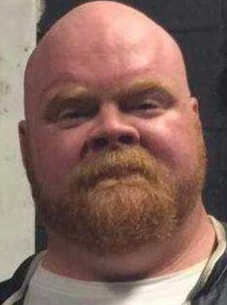 Related firearm charges against co-accused Daniel Tranquair, 31, also were withdrawn. 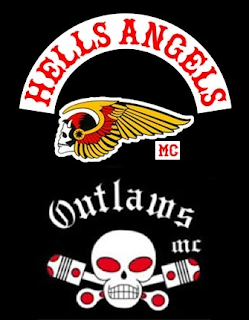 The release of Daigneault won't help quell increased tensions between the Outlaws and Hells Angels. 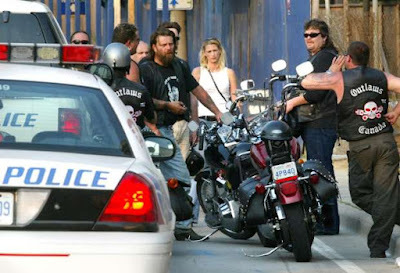 Cops warn the Hells Angels will need to push for retribution. The Hells Angels arranged an assault on Daigneault while he was in custody at Elgin-Middlesex Detention Centre. Outlaws MC London chapter's clubhouse at 1103 Brydges St.
London Outlaws opened a new clubhouse and started a puppet club called the Filthy 15 last year. Just two weeks ago, Outlaws turned up at the Friday the 13th ride in Port Dover for the first time in years. 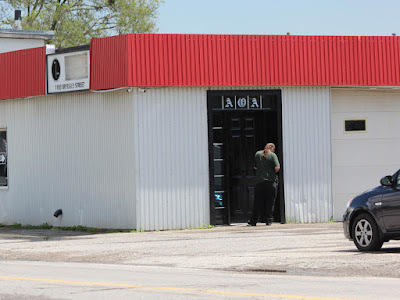 The OPP’s biker enforcement unit announced it was investigating two incidents involving threats and intimidation between Hells Angels and Outlaws members.